Situated in Saint-Yrieix-sur-Charente, this hotel is within 2 mi (3 km) of The Comics Museum, International Cartoon Museum, and Angouleme Paper Museum. FRAC Poitou-Charentes and Angouleme Cathedral are also within 2 mi (3 km). Located in the heart of Angouleme, this hotel is within a 15-minute walk of Chateau d'Angouleme, FRAC Poitou-Charentes, and Angouleme Museum. Angouleme Cathedral and International Cartoon Museum are also within 15 minutes. Angoulême Station is 5 minutes by foot. Located in the heart of Angouleme, this residence is steps from Angouleme Paper Museum and International Cartoon Museum. The Comics Museum and FRAC Poitou-Charentes are also within 15 minutes. Angoulême Station is 18 minutes by foot. Situated in La Couronne, this hotel is within 6 mi (10 km) of Hirondelle Golf, International Cartoon Museum, and Angouleme Paper Museum. FRAC Poitou-Charentes and Chateau d'Angouleme are also within 6 mi (10 km). How Much is a Hotel Room in Anais? Hotels in Anais start at $34 per night. Prices and availability subject to change. Additional terms may apply. So, are you spending time in Charente and looking to book an apartment or hotel in Anais? There are 3 hotels here that ought to be right for you. 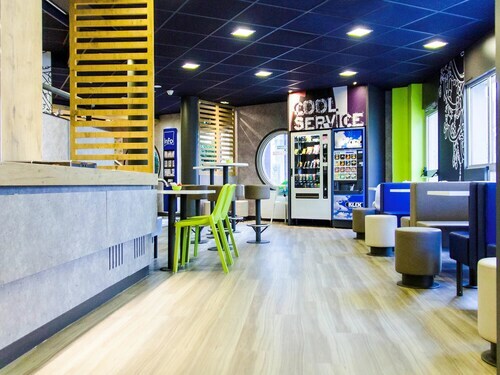 Located within a short drive of Anais, are the Hôtel Kyriad - Angoulême Nord Champniers and ibis Styles Angouleme Nord. The Hôtel Saint Antoine is situated 8 miles (13 kilometers) outside of the middle of Anais. An alternative place to stay is the Première Classe Angoulême Ouest - Saint Yrieix, which is situated 8 miles (13 kilometers) away. The Hotel Campanile ANGOULEME OUEST - Saint Yrieix as well as the Mercure Angouleme Hotel de France are two other hotel options in Anais. On the hunt for things to do? Consider spending some time exploring Angouleme Cathedral, Angouleme Hotel de Ville and Museum of Comics, which you'll find in Angouleme, 9 miles (14 kilometers) to the south of Anais. 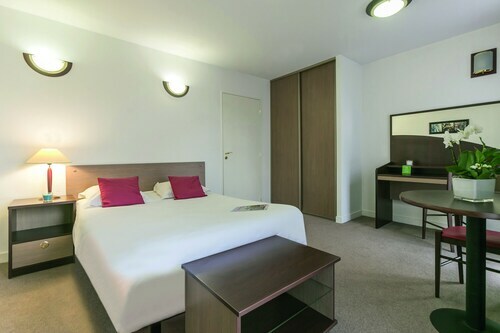 When you want to spend a few nights in Angouleme, be sure to check out the Appart'City Angoulême and Citotel Europeen. Or, stay the night in [name of second nearby city or town (sibling)], 25 miles (42 kilometers) west of Anais, where you'll find the Citotel Le Cheval Blanc and INTER-HOTEL Le Valois. The Chateau de Cognac and Hennessy Cognac Company are a couple of the frequented places to get to know in [name of second nearby city or town (sibling)]. Before you and your traveling partner leave Charente, you should make sure you are able to watch some fast-paced sport. Get to Palais des Sports de Beaublanc, located east of Anais. Find accommodation close to the action at the Home Du Buisson or the Mercure Limoges Royal Limousin. 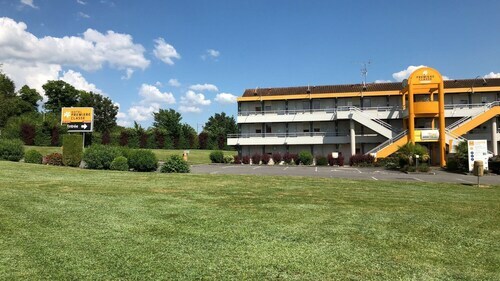 When you're traveling through Limoges International Airport and are hoping to book a Travelocity-listed room in the area, look at La Chapelle Saint - Martin Relais & Chateaux or Citotel Les Alizes. The hotel had on site parking and the location was perfect to see the old part of the town.